At press brief on March 29, the Ministry of Transport leaders answered questions relating to slow progress of traffic projects which raised public concern. Upon the project Trung Luong – My Thuan expressway, Deputy Transport Minister Nguyen Ngoc Dong said that the project investor was encountering financial difficulties because it had not signed the credit contract with its bank because of the high interest rate proposed from the bank under the Ministry of Finance’s circular No.75. In its document, the Ministry required from now to May 31, the two sides – the investor and the bank – must sign the credit contract or else the Ministry will end the contract with the investor, he said. The termination of contract will make progress slower; additionally, the Ministry will select another investor for the project , accordingly, it takes more time and money, he added. Mentioning to a crack on a girder of under-construction Vam Cong Bridge connecting Mekong delta city of Can Tho and Dong Thap province, the representative of the ministry said that this was a rare case in the world, therefore, Vietnam invited foreign experts to work with local experts in finding out the cause and solution. The report on the case is scheduled to send to the Ministry in April, he said. 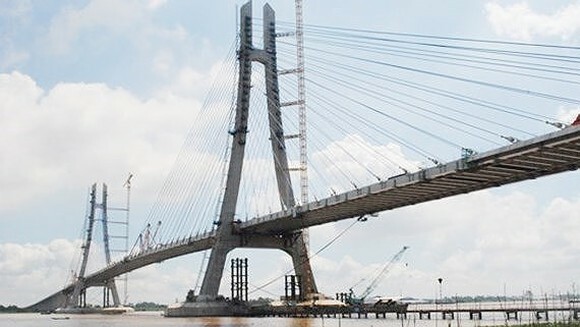 Meantime, construction project of Cao Lanh Bridge and paths connecting the bridge with Vam Cong is basically complete and open to traffic soon. However, progress Vam Cong Bridge will be hampered by the appearance of the crack. The Ministry also talked about Cai Lay Project on Tien Giang province which Deputy Prime Minister Tring Dinh Dung asked the Ministry to go on research on the project while waiting for the government’s decision. Nevertheless, with present growth speed, it is urgent to upgrade the airport capacity to 50 million passengers a year. Hence, the Ministry have to recalculate the cost of the project. The fund for expansion of the airport will be taken from the Airports Corporation of Vietnam (ACV)’s budget and social contributions.